All of our doctors specialize in optometric vision therapy and developmental vision care for both adults and children with a wide range of vision disorders. It is important to know that it is still possible to have vision difficulty, even if an individual sees 20/20 on the eyechart. The 20/20 test measures clarity of sight at a distance. Yet the vision system is a dynamic and complex system involving much more than simply seeing 20/20! Many children and adults can still have poor eye movements (difficulty scanning along lines of print when reading), poor convergence or binocular skills (difficulty coordinating the two eyes) and/or have poor visual-perceptual processing skills (difficulty understanding visually presented information). 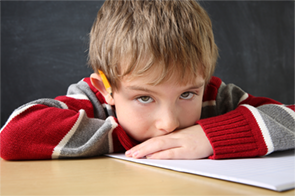 Children with these difficulties will often struggle needlessly in school, and may be labeled as lazy, unmotivated, AD(H)D or learning disabled. Problems such as these do not go away with age. The good news is that whether you’re a child or an adult, have been suffering from vision problems like these for a long or short time (due to an acquired head injury), vision therapy is a proven treatment method. These vision problems are typically not identified in a routine eye examination. For children, a comprehensive developmental vision evaluation is needed, in order to fully assess all areas of the visual system. For adults who have sustained a head injury, a vision rehabilitation evaluation is required. Many patients are also often told that nothing can be done about it, or that the school support services or current rehabilitation services offered are sufficient. This is not the case! Optometric Vision Therapy and Visual Rehabilitation encompasses comprehensive and global treatment of the entire vision system, identifying and treating the whole person and addressing all their visual needs. Before therapy Kevin took a lot of time doing his homework. Now he takes less time and his comprehending is a lot better. He is reading more and he is getting 80 and 90 on his AR tests. 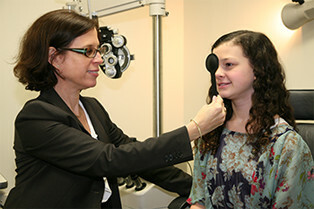 Serving Long Island and the surrounding areas of Westbury, Westbury, New Cassel, Hempstead, Uniondale, Garden City, Mineola, Jericho, Hicksville, Levittown, East Meadow, New York, NY with Individualized Vision Therapy Services - Often searched for as Eye Doctors, Pediatric Eye Care or Vision Care. Design by Bristol Web Design, Inc.